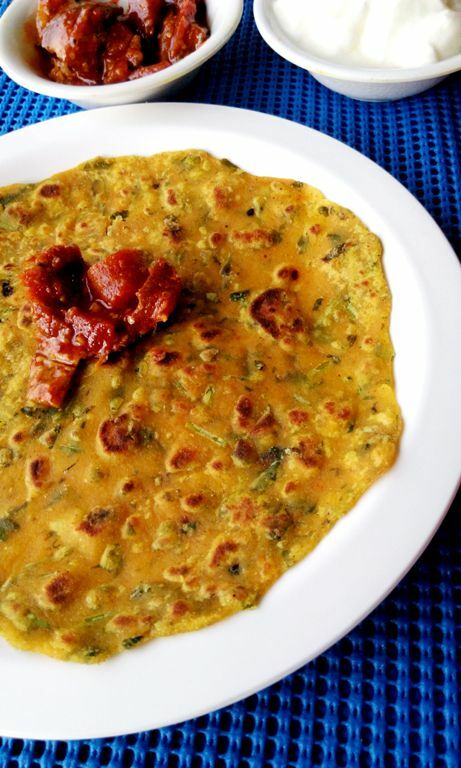 I first started making Methi thepla around six years back.A dentist friend of mine(remembering you Vijeta)who hails from Gujarat made it in front of me in her kitchen and I learnt from her. One bite of this flatbread and I was sure that I will bookmark this recipe forever.In fact I am surprised that I hadnt shared this recipe with you all earlier. 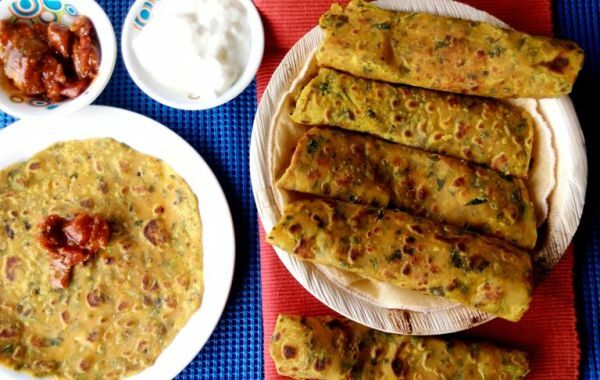 Most of my friends are gujaratis and thepla is their staple snack.Munch it on the go or while you are relaxing at home there is no way you are not going to like this. Multitasking moms and young cooks please save this recipe because as always it is LOW IN EFFORT AND HIGH IN RESULT. Take a bowl.Add whole wheat flour,bengal gram flour,red chilli powder,coriander powder,salt,turmeric powder and vegetable oil to the bowl. Mix everything well.Add curd to the bowl and start kneading.Knead well till you get soft yet firm dough. Now make small balls of this dough.Sprinkle wheat flour on kitchen counter and start rolling one ball at a time into a thin thepla of around 6" diameter. Place a skillet on low flame.Place thepla on the skillet and apply vegetable oil on it. After one minute,flip the thepla and apply vegetable oil on this side.Flip a couple of times till you get golden brown spots on thepla. 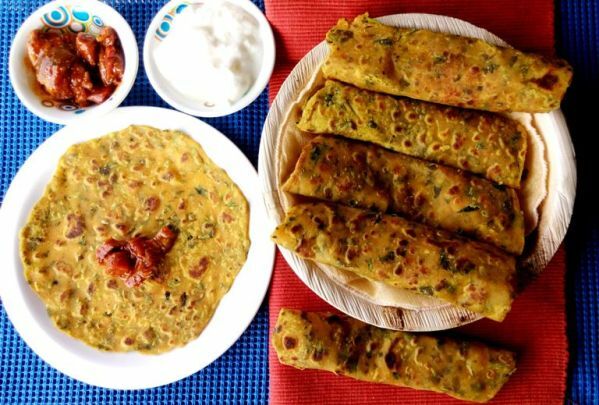 Take the thepla off heat and keep it covered in a basket to avoid drying.Serve it hot with pickle or plain curd.